Fringe, kimonos, and flower crowns may be synonymous with music festival style, but for my second festival fashion post with Kohl's, I'm going for a layered lace look. At first glance, my romper looks like a babydoll dress, which is why it grabbed my attention on the racks. Along with its comfortable fit and tropical, summery print, it's an ideal festival piece. I played with proportions on a warm day earlier in the week and paired it with a lace maxi vest that's fast becoming my go-to spring layering piece. Headed to Coachella or other music festivals this season? 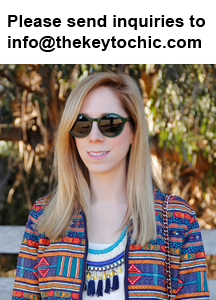 Get style ideas and outfit inspiration from my Coachella style guide and festival fashion essentials posts. Thank you to Kohl's for partnering on this post.